Disneyland – The Happiest Place on Earth! I was recently asked —- “If I can only take 1 trip in the next 12 months, what do you recommend?” I am not normally asked this question, so I took about 30 seconds, then firmly decided… Disneyland. 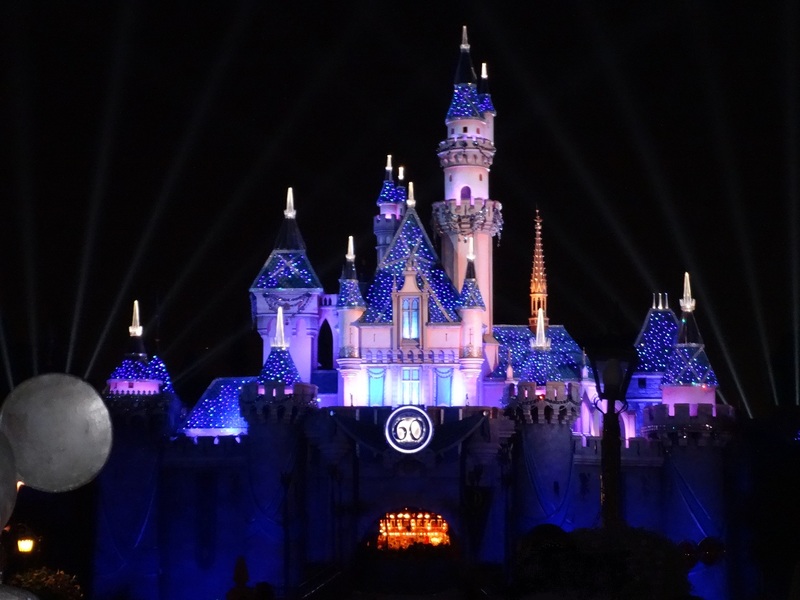 Disneyland (in California) is in process of celebrating the 60th Diamond Anniversary, which began May 22, 2015, and runs until September 5, 2016. ((And the actual Anniversary date was July 17th.)) 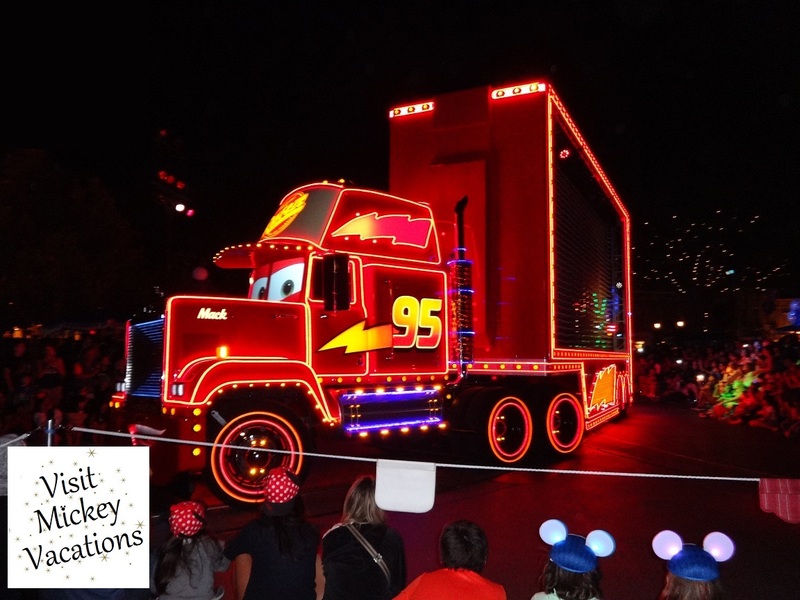 This year Disney is pulling out all the stops, as they have created a brand new parade Paint the Night, new night-time spectacular, Disneyland Forever and a new World of Color, honoring both Walt Disney and Mickey Mouse. All the history is found in Disneyland, CA. The famous park bench that Walt sat on, while he was envisioning what would become Disneyland. The original It’s a Small World, from the 1964 World’s Fair. ‘Jingles’, Lillian Disney’s horse, on King Arthur’s Carrousel and countless pictures of Walt. Our family took its first trip to Disneyland this past August, for just this reason, to experience the 60th Diamond Celebration. Flying or driving?? Either way, make sure you bring items to occupy the time. Hand held games are great, especially in confined places, but consider picking up an external battery for your devices. Also, make sure you have enough snacks. Finally, make sure they are well rested and have eaten before departing on a long journey. Remember, hungry children are crabby children. The big day has arrived, you are ready to go to Disneyland. If you are going to fly, consider flying into (SNA) Santa Ana / Orange County Airport, instead of (LAX) Los Angeles. Check airlines for both destinations, and do what makes the most sense for your family. Orange County (SNA) is easier to maneuver through and more reasonably priced for transportation to and from Disneyland. Disney’s Grand Californian – the Deluxe upscale arts-and-crafts hotel with a 6-story, lodge-style lobby provides direct access to Disney California Adventure and Downtown Disney. Disneyland Hotel – this modern theme hotel is within a 15-minute walk of Disneyland and California Adventure Parks and only minutes to Downtown Disney. The smart, contemporary rooms, some with resort views, feature Sleeping Beauty-themed beds with light-up, musical headboards. Paradise Pier – This Sea-side themed Disney resort sits across a palm-lined boulevard from the ritzier Grand Californian Hotel & Spa. It’s a 5-minute walk to Downtown Disney shopping and a 15-minute walk to Disneyland and California Adventure front gates. Many people feel that Walt Disney World has so much more to offer, because of its size, however you can find most all of the things you love in Disney World, right there in Disneyland. You’ll find all your favorites in Disneyland like; Haunted Mansion; Enchanted Tiki Room; Jungle Cruise; Big Thunder Mountain; Space Mountain; Pirates of the Caribbean; Dumbo and Peter Pan’s Flight. Plus… the things you will find new and wonderful, Finding Nemo Submarine Voyage; Storybook Canal Boats; Mr. Toad’s Wild Ride and Snow White’s Scary Adventures. And, if you get there for the 60th, you will have a chance to see Mickey’s Toontown, before it is refurbished, to make room for Star Wars Land. Sleeping Beauty’s Castle at night, during the 60th Diamond Celebration. My girl found a flower for me… but thought it looked better on her. We are chillin’ with an ice cream in Toontown. 1964 World’s Fair originally designed It’s a Small World. In Disneyland, the children are picked out of the crowd to become a Padawan. Tricia Tip – The Special Needs system of Disneyland is different from Disney World. Make sure to have the member that requires the special services with you, when you go to apply for the DAS Pass. Equally wonderful is California Adventure. Here you will find the things you love about Hollywood Studios and Epcot, in Disney World. Soarin’; Toy Story Mania; Disney Jr. Live on Stage; Frozen Sing-along; Turtle Talk with Crush; Tower of Terror; Learn to Draw with an Animator and More… Plus: Cars Land, a completely immersive experience; a Bug’s Land; Monsters Inc. Rescue; All of Paradise Pier, with the high speed coaster California Screamin’. And, don’t forget the nighttime spectacular, World of Color. Paradise Pier in California Adventure, just before World of Color. Many NEO locals will remember this ride from Euclid Beach. Of course you will not find the animals of Animal Kingdom nor any of World Showcase, but I submit, you will never miss them. My husband said, after we finished our trip… “Disneyland has more ‘Magic‘ per square foot.” I think that pretty much says it all! Finally, being a travel professional, I highly recommend you use a Travel Agent familiar with Disneyland, to ensure the best experience for you, and your family. Why?? Because dining is done at 60 days, Fast Passes are still on paper, and Magic Bands will get you nowhere in California. So, even though World and Land are very similar, there are still essential differences.